One of the best ways to make an ordinary thing like a meal feel special is to make it a picnic. But getting ready for one, packing it all up, sounds kind of exhausting when you just want to grab lunch. Make picnics a little more accessible by prepping a picnic basket ahead of time. All you'll need to add is the food when it's time to go. Here are three ideas for different types of picnics to get you started: one with your family, one with your friends, and one for lunch on your own. This Foldable Cooler Set is waterproof and insulated, plus it folds up for storing or taking with you on vacation. This set of stainless steel Camping Trays help reduce waste and have a fun nostalgic feel. If you've never scoped out the kids dinnerware at IKEA, you're missing out. 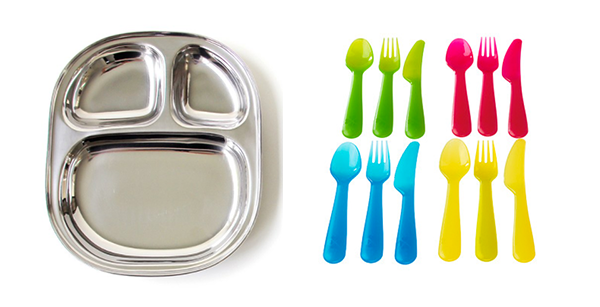 Their bowls, plates, and silverware are so colorful and fun, and great for small servings. 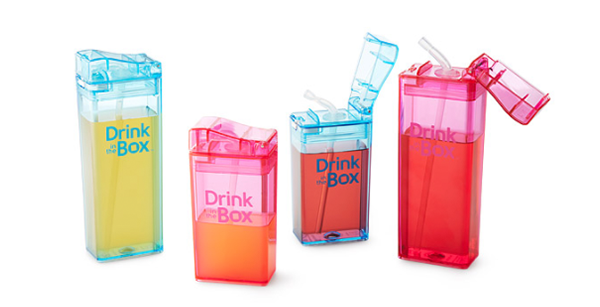 Instead of ending a picnic with trash bag full of empty juice boxes and pouches, try these Sustainable Drink Boxes that are reusable and super colorful. 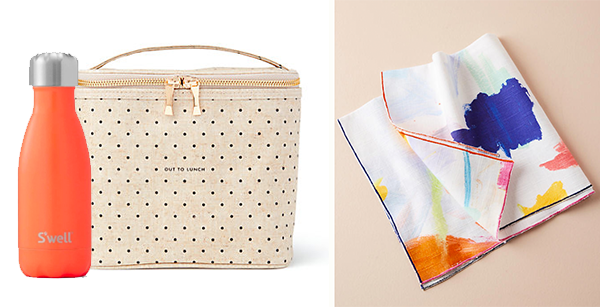 Pack all your super yummy snacks (and adult beverages) in this Super Chill Cooler Bag. I love the bright yellow lemon, but there's a watermelon as well. This Meadow Mat Waterproof Blanket is extra large, and rolls up real small for grab-n-go girlfriend meet ups. It's a great picnic surface where you can set up all your snacks, plated on this French Bull melamine vintage-vibe collection. 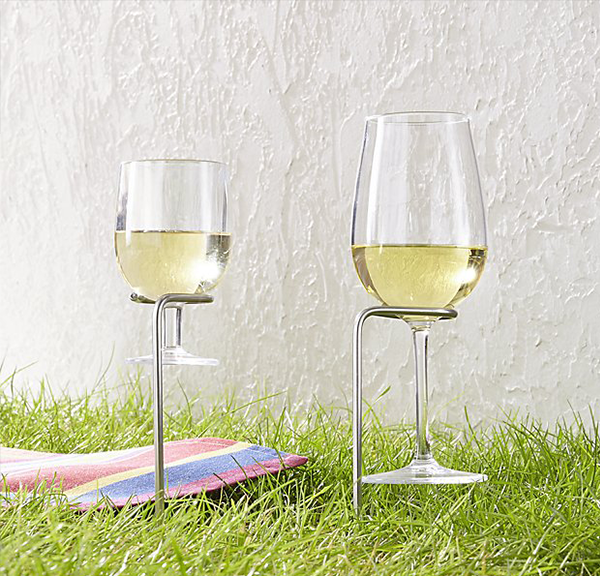 I'm not sure where these wine glass holders have been hiding all my life but the Steady Stick Wine Glass Holders are awesome AND practical. Take advantage of your lunch break and leave your office. Go OUTSIDE and stay there to eat instead of just running in and out of your local sandwich shop then plopping back in your seat. 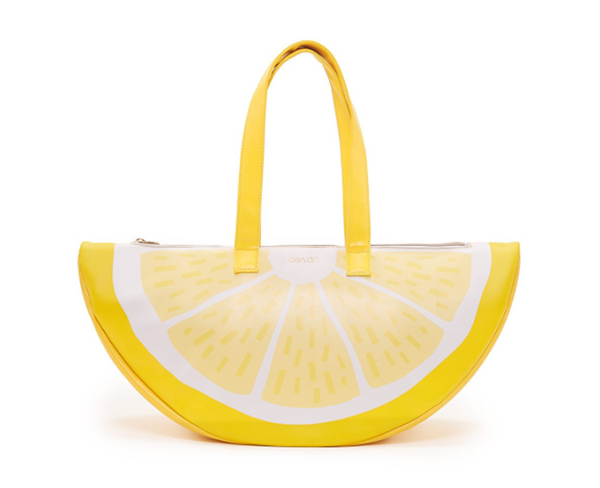 This Out To Lunch tote has a kick of playfulness, in true Kate Spade spirit. Pack a small water bottle of something fun like cucumber water or your favorite fruit tea. And of course, an easy way to make your lunch feel extra special? Some beautiful cloth napkins. Things just got fancy. 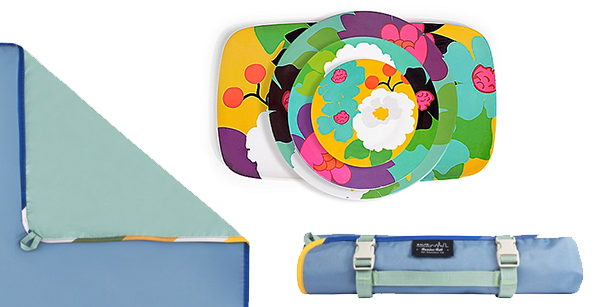 One more thing to pack for a playful solo lunch? 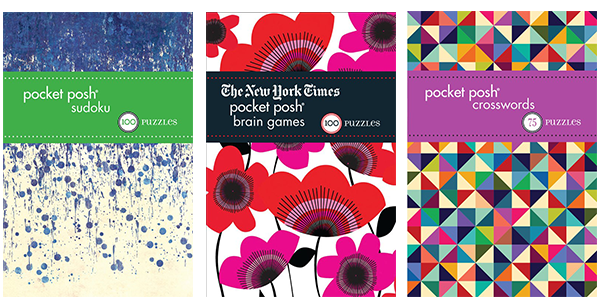 A Pocket Posh activity book. I always have one of their small crossword books on me, and it greatly reduces how often I'm on my phone refreshing my Facebook feed. Of course, there's always the traditional ready-to-go picnic basket you can buy, but I like putting a spin on it instead. 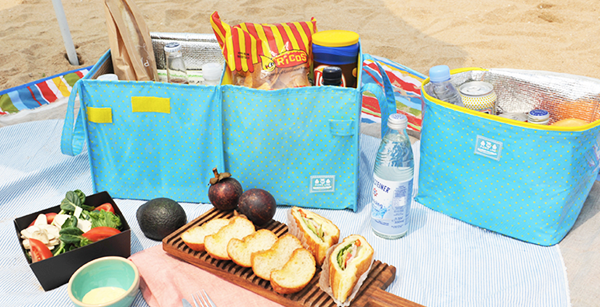 What is your picnic basket must-have?